Now, as you know if you read my Armchair BEA post about book to movie adaptations, I have kind of a love/hate relationship with them, because on the one hand you get really excited about your favourite book being adapted into a movie and it can be done really well, however on the other hand, you might be constantly disappointed when your favourite book gets transformed for the big screen and wish that it had never been touched by filmmakers in the first place. Still, like most people, there are books that I would love to see adapted for the big screen, some of these will be the same as in my post for Armchair BEA, and I may go over ten this week as there are a lot of books that I would like to see as movies! 1. Unwind-Neal Shusterman-Yes, there is no doubt this would be a creepy movie, but I also think it would be visually stunning and thrilling to watch and it’s the sort of book that would translate well on screen I think. Plus more people need to be introduced to this world! It’s apparently been optioned by a production company, so here’s hoping we’ll get to see it hit our screens soon! 2. Throne of Glass-Sarah J Maas-I feel like fantasy and the big screen usually go pretty well together and this is one of my favourite new series, so I would love to see a movie of it. I feel like Sarah J Maas’ writing is very visual anyway, so I think it would be incredible to see the world she created come to life on screen. 3. The Raven Boys-Maggie Steifvater-Again what’s not to love about a fantasy movie? As with Sarah J Maas, I feel like Maggie Stiefvater’s writing would translate very well onto the big screen, and as I love these characters and this world so much, it would be incredible to see it brought to life on screen. 4. Skulduggery Pleasant-Derek Landy-I cannot be the only one who wants to see Skulduggery Pleasant as a movie! I think this could work really well on the big screen, it’s the sort of world that would be great for cinema but as I said before, only Derek Landy could write it, because only he would be able to get the right style of humour into the script and I don’t think anyone else would get the right feel for Skulduggery. He said he was going to work on a script for the movie after Dying of The Light was finished, so let’s hope we get a Skulduggery film in the next few years. 5. Dangerous Girls-Abigail Haas-Like I said, this is a kind of YA version of Gone Girl, and I think it could do equally well as a film, given the twisted characters, the story and the crazy ending, it feels like the kind of book that would do well as a movie (plus Abigail Haas doesn’t get nearly enough credit for this amazing book, so maybe if there was a movie more people would read it!). 6. Artemis Fowl-Eoin Colfer-Are we sensing a theme here? Yes you guessed it another fanatasy book to movie adaptation. I don’t know why, but fantasy novels always seem to work really well for the big screen. I think this would be a fantastic movie, everything about it screams movie, criminal mastermind, fairies, centaurs, dwarves, an evil elf in the later books, magic, what about that would not make a good movie? Apparently a movie adaptation of this has been in the works for years, so let’s hope it actually happens! 7. HIVE-Mark Walden-This would do amazingly well on the big screens I think, as HIVE is basically like Hogwarts but training young criminal masterminds rather than young wizards and witches. Otto Malpense is kind of similar to Artemis Fowl in that he’s a young criminal genius but the comparisons end there I think. They’re great action adventure books with lots of cool gadgetry, and there’s a great mix of main characters, so I think these books would make really fun films. 8. Pure-Julianna Baggott-This book would be visually stunning on screen, it’s such a stark world that Baggott has created and I think it would come across very well on screen. I’m not sure exactly how they’d manage to create all the fusings on people, particularly Bradwell’s birds, but there is no denying that visually, this story would look incredible on screen. 9. The Medusa Project-Sophie McKenzie-I could have chosen any one of Sophie McKenzie’s books as I think they’d all make great movies, but this series in particular would be fabulous on screen. They’re sci-fi adventure books and I think the whole teens have psychic abilities thing would work really well in a movie, plus the books are pretty fast paced and action packed which always goes down well on the big screen. 10. Uglies-Scott Westerfeld-I would really love to see this book as a movie, the concept behind the book is great, the technology in the world is really cool and I think would come across well on screen, and it’s a world that I’d really like to see on screen, as certain things are kind of difficult to picture on my head. 11. Thirteen Reasons Why-Jay Asher-There were rumours about this being made into a movie a while back but those seem to have stopped now. I hope someone does make this into a movie, as it’s one of my favourite books, and I think it would make a really beautiful, heartbreaking film. 12. Noughts and Crosses-Malorie Blackman-Again this is one of my favourite books, and I would love to see the love story of Callum and Sephy come to life on screen, it would be an amazing, touching, incredibly heartbreaking movie. 13. Heist Society-Ally Carter-These heist novels are full of fun, boys, action and great heists, and I think Heist Society would make a great movie, not least because I want to see what W.W. Hale looks like and if he’s as hot as I picture him. In all seriousness though, these heist novels scream movie, and I think the first book has been optioned as a movie so hopefully it will hit our screens soon. 14. Nineteen Minutes-Jodi Picoult-I’m kind of hesitant to include a Jodi Picoult book, because every one of her books that has been adapted into a movie (some have been adapted into TV movie as well as the feature film My Sister’s Keeper) has been ruined, but this is one of my favourite of her books and I would love to see it come to life on screen, if it was done well. 15. Blind Beauty-K.M. Peyton-This novel is a heartwarming, beautiful, touching novel about a girl’s special relationship with a horse, and her determination to win the Grand National, and I think it’s a story that would come across amazingly well on screen, and this book has the potential to be just as great a movie as the 1994 adaptation of Black Beauty was. 16. Breathe-Sarah Crossan-This wasn’t my favourite dystopian novel ever, but I think it could work well on screen, the world would be visually stunning, and I think the story would work well as a film, it might be one of those times when the film is better than the book. So that’s my top ten (umm sixteen!) for today. Would you like to see any of these books as movies? Is there anything you think I should have added that would make a really good movie? What books would you like to see as movies? Have you read any of the books on my list? Do you want to? Let me know! 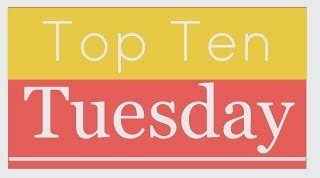 I will be back with another Top Ten Tuesday next week with my top ten anticipated releases for the rest of 2015, but I’ll have another Wishlist Wednesday post for you tomorrow, so look out for that! I think so too, but it’s controversy is part of it’s greatness. Yes Uglies would be fantastic. Uglies is actually the only trilogy of Scott Westerfeld’s I’ve read, I haven’t got round to reading any of his other books yet. i’m currently reading the Raven Boys series right now, and although i’ve only finished the first book, i can definitely see it being a great film adaptation! rowan and gansey would be hilarious to see in a movie! great list this week! and thanks for checking out my TTT post at Wholly-Books! I hope you enjoy the second and third books, now that the release of the final book has been pushed back you have plenty of time to read them before it comes out. Yes Ronan and Gansey would be awesome in a movie. Thanks! No problem, thanks for checking out mine! I debated putting Unwind on my list, but I felt like it would be kind of terrifying as a movie. And they might have to cut a lot of it in order to make it less controversial, so I think they’d botch it. I’d still see it if they made it, though. Right now, The Darkest Minds and Legend are the ones I most want to see. I haven’t read many of the others on your list except for ToG, so I’ll have to check those out! And thanks for reading my post on Spellbound! Oh I agree it would be kind of terrifying but somehow I don’t really mind. I think if it was picked up for movie the production company would be aware of the controversial topics and it’s not as if controversial movies haven’t been made before, so as long as they handled it carefully then I think it has the potential to be a great film. With any book to film adaptation there is the potential for it to be botched. Yes you should, they’re great! No problem, thanks for visiting my post here! I’d forgotten about Thirteen Reasons Why and The Raven Boys (they’re not on my shelf, I own them digitally). You’re so right. Great list. Totally agree with you about a Raven Boys movie. The world needs it. Also it would be great to have movies of a lot of these because I haven’t had a chance to read them and at least I could enjoy them that way. Great list! Thanks! Yes the world does. I would highly recommend all of them, they’re all great books, but would make equally great movies (if done well). Oh my gosh, you have so many I would love to see on the big screen. Thirteen Reasons Why and Uglies for sure!! I still have a couple on my Kindle and TBR list that you have on this list to get to this year…at least I hope to get to them this year. Thanks! Yes Thirteen Readons Why and Uglies would be brilliant. Yeah, I get you, I have so many books on my TBR there is no way that I’ll get them all this year! I’d actually like to see The Uglies as a movie too. I didn’t really like the book that much but I liked the idea and I think I’d appreciate it more as a movie for some reason. Sometime things work out that way, you read a book and you’re not too sure about it, but then you like the movie version, it’s quite common, there are plenty of books I can think of that I’d probably prefer as movies. These choices are AMAZING! I almost added Unwind to my list but then I kind of wondered if I trusted anyone enough to capture it appropriately! But I DO agree with you 100%- more people NEED to read it! And Uglies is a really good idea too! I think I would actually like a movie MORE than the book! And Dangerous Girls, my goodness that would be HUGE. And Throne of Glass just HAS to happen one of these days. I am assuming it will, anyway! Fabulous list! Thank you! Obviously I’d only want to see Unwind if it was done well, but that’s true of any of the books on my list. Yes! It is a crime that more people have not read this fantastic book. Yeah sometimes things work out that way, there were some things in the book that annoyed me, like the strange slang that I hope would be cut from the film. Dangerous Girls would be an epic movie! I think it does, and given the rising popularity of the book, we probably have a good chance of getting a movie. So agree with Throne of Glass! I adore that book so much! So many amazing books on this list! I haven’t read them all myself, but I’ve heard good things about so many of them. The Uglies series would be a very interesting one to see in a film. I’ve only read Pretties, but the world is so intriguing. I think it would make a great movie. Oh, and Skulduggery Pleasant! I was so going to put him on my own list, except that I wasn’t sure that anyone could do it justice. Those books are just so epic. If Derek Landy ever got involved though, it could have the potential to be the funniest, most epic movies ever! Thanks! You should read the first book, it’s the best one in the series (I think anyway, but you’re right the world is great. My stipulation to having Skulduggery on here is that Derek Landy has to write the script because that’s the only way Skulduggery could ever be done well, no one else could do it right. Yes, with Derek Landy on board, it would be such a great movie! The rest I -sadly – haven’t read, but a bunch are on my TBR! The Raven Boys is awesome! Well I hope you get to check out the ones that are on your TBR soon. I just started Throne of Glass last month and have already read all the books that are published. It’s so good! I would love to see it as a movie too but they would have to get the cast right. They’d need a good lead that can pull off all the snarkiness of Celaena! Wow you’re a quick reader! Though I have to admit I read the first and second books within two weeks of each other! It’s incredibly addictive! Yes they would, but I’m sure there is an actress out there who can do it!